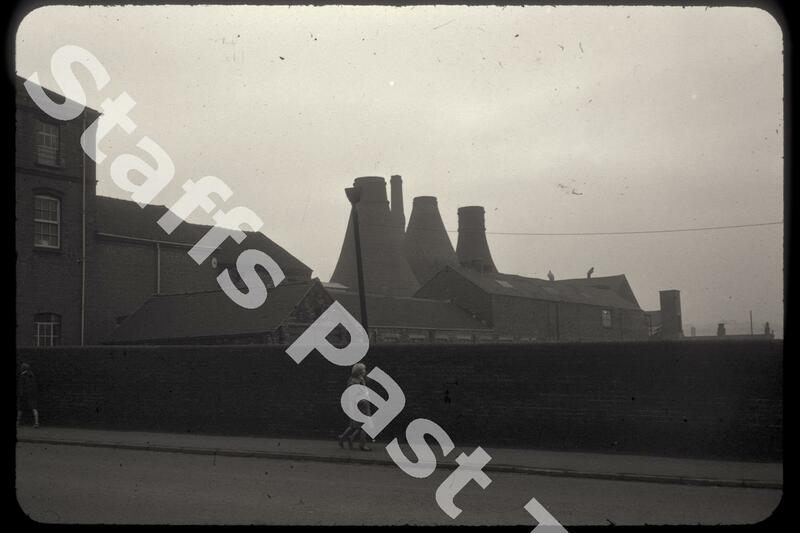 Description:The south side and rear of Enoch Wedgwood's factory on Brownhills Road in Tunstall. The factory dates from 1889 and there was originally a line of seven bottle kilns. The site has been cleared.